Read the Voice for timely and important information that matters to you. Supporting our union reps means supporting our members. Find important documents, frequently asked questions, and internal communications reps need to advocate for our members. If you are a teacher or other instructional personnel click here. If you are non-instructional/educational support personnel (clerical, paraprofessional, etc) click here. Get involved by staying informed. Quick links to your legislators, important surveys, and other information for you to be an armchair activist for education. Contacting your School Board is easy as click and send. Great site requiring minimal set-up for brain breaks, indoor recess, release endorphins and get the blood flowing. It's scientifically proven to improve mood and cognition. Create active presentations for students or help students create interactive presentations on their own. A source for leveled reading passages. SLCSD-approved educational videos to use to create background knowledge, illustrate difficult concepts, etc. A K-12 resource library of materials for teaching and assessing for the Common Core. NEA’s popular resource for teachers and by teachers. Questions asked and answered. 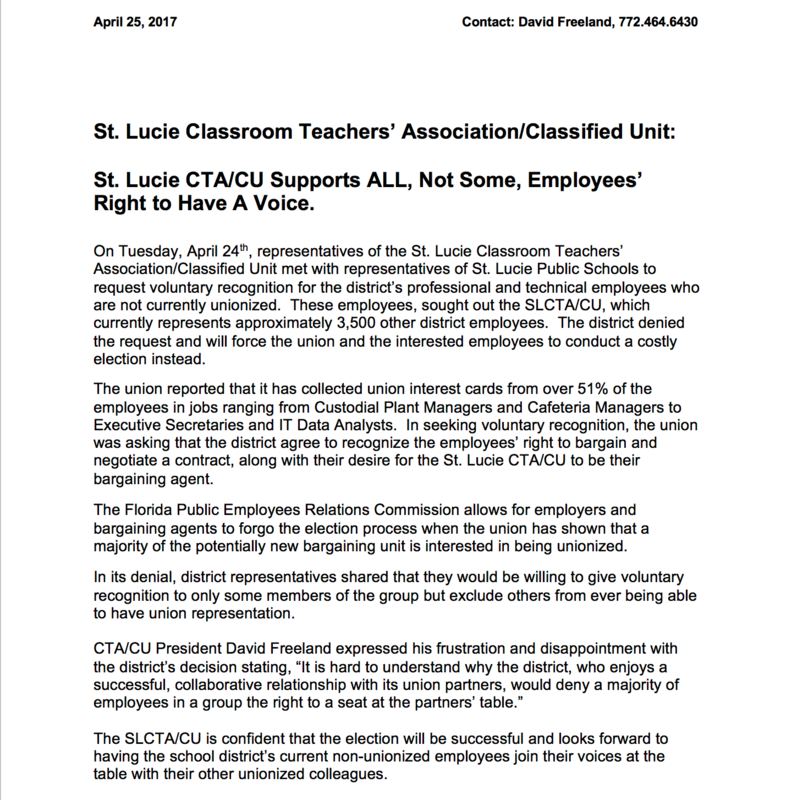 The following links are not maintained or endorsed by the St Lucie CTA/CU. 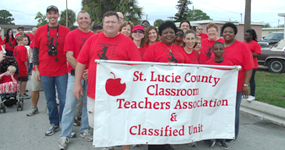 Videos of interest to Florida educators from the Florida Education Association and affiliated local unions. The official action center for the National Education Association. 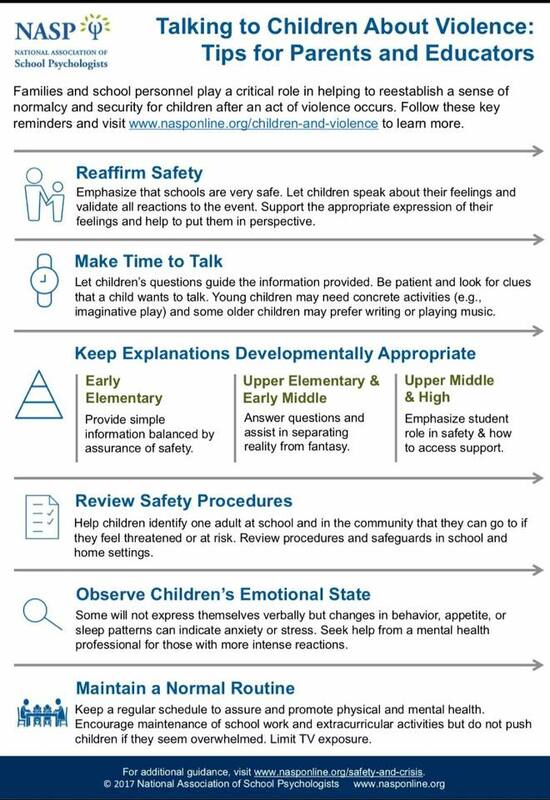 Advice and Support for educators from all over the county. Great articles, helpful tips, and useful information to make your job easier. 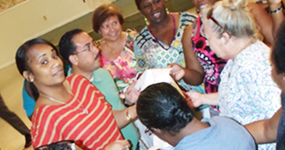 AFT’s expansive teacher-made catalog of lesson plans, ideas, and tips for great teaching.